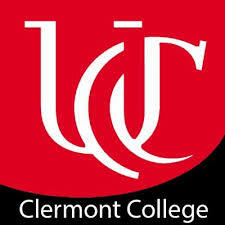 UC Clermont College is located in the center of Clermont County on 91 beautiful wooded acres in Batavia Township. Opened in 1972, Clermont College is an accredited, open-access college offering more than 50 associate degrees and certificate programs. The college began offering a technical bachelor̠s degree in the fall of 2011 the Bachelor's Degree in Applied Administration. The Applied Administration program is designed for people who already hold a technical associate degree, such as an Associate of Applied Science or an Associate of Applied Business (from a regionally accredited institution).The college is part of the nationally recognized University of Cincinnati. Students who attend UC Clermont College have full access to UC's Uptown campus libraries, student support services, student clubs, fraternities, sororities, intramural sports and athletic events.